This story revolves around Haruka Nanase, a boy who has always loved to be immersed in water, and to swim in it. Before graduating from elementary school, he participated in a swimming tournament along with his fellow swimming club members, Makoto Tachibana, Nagisa Hazuki, and Rin Matsuoka. After achieving victory, each of the boys went their separate ways. Time passed, and in the middle of their uneventful high school lives Rin appears and challenges Haruka to a match, showing Haruka his overwhelming power. 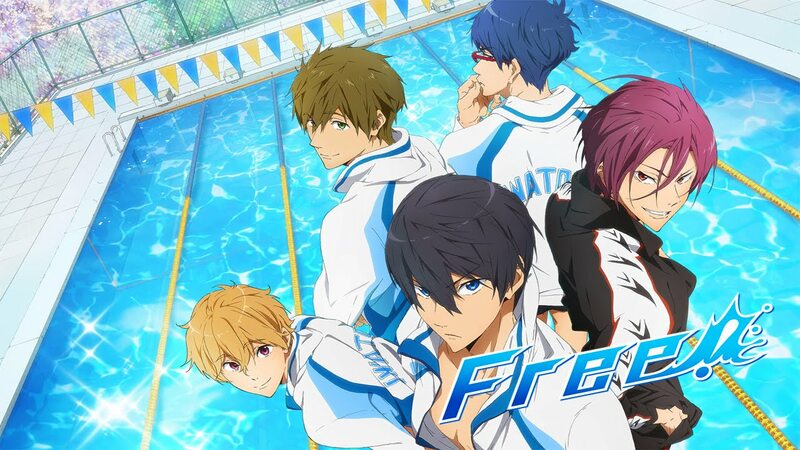 Not wanting it to end like this, Haruka, gathers together Makoto and Nagisa once again and brings a new member named Rei Ryugazaki to create the Iwatobi High School Swimming Club in order to defeat Rin.